to accurately detect and predict human behaviors using visual intelligence. NVISO is an artificial intelligence company founded in 2009 and headquartered at the Innovation Park of the École Polytechnique Fédérale de Lausanne (EPFL) in Switzerland. NVISO provides artificial intelligence solutions that can sense, comprehend and act upon human behavior using emotion analytics. NVISO's artificial intelligence solutions create actionable data through its measurement of instantaneous emotional reactions of consumers. This is achieved in real-time using standard camera devices installed on everyday products, such as phones, tablets, and computers and only with the consent of the user. These can be any type of camera and they have countless commercial applications. NVISO's products and services consist of applications, software development kits (SDK's), and data services. These are used by NVISO customers to measure and increase productivity, and to accurately perform specific business functions, such as the automation of customer-facing operations. NVISO commercialization is focused on AI solutions for several key industries. With a singular focus on how to apply advanced technology to industry and societal problems that matter, NVISO's solutions help advance human potential. Tim Llewellynn is a global entrepreneur and software AI architect, CEO and co-founder of NVISO. 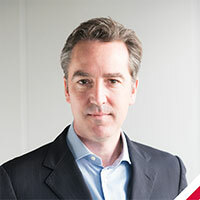 He has previously been global sales director at Kudelski Group, VP of Sales and Marketing at Anagram Technologies and a senior R&D manager at the Swatch Group for connected devices. He has a strong track record of driving business results in highly-competitive global environments (Korea, Japan, Taiwan, China, India, Europe, USA), in developing new products and markets, and in helping new businesses thrive. Dr. Matteo Sorci is CTO and co-founder of NVISO, Matteo has over 15 years of experience in computer vision and machine learning, He has received his doctoral degree in 2009 from the EPFL for his work on new artificial intelligence algorithms that can teach a machine how to interpret human emotions through the analysis of facial expressions. 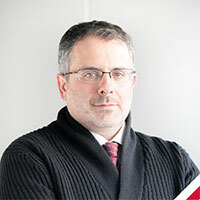 Matteo is the author of several peer-reviewed scientific articles and co-author of books on the topic including: Choice Modeling: The State-of-the-Art and the State-of-Practice. Michael has a tremendous track record of cross-functional team leadership, from coaching, through motivating teams to planning the development of organizations. He leads strategically, builds alignment, drives sales performance, navigates cross functionally among both internal and external stakeholders and delivers organizational excellence. He conceptualizes and articulates the Company’s vision for our brands and energizes all of our functional areas. With strong project and process management skills, he marshals our teams to prioritize and deliver. ​Michael previously worked for BAT, a top FTSE 100 company, where he served as CM​O for Italy and Southeast Europe region. 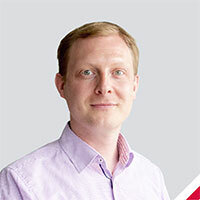 Miika Kettunen is Chief Revenue Officer at NVISO. 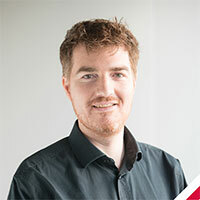 Miika previously worked for Swisscom Innovation building various products in the fields of AI, Blockchain and Cybersecurity. Miika brings expertise in scaling mobile products and online services delivered to hundreds of millions of users worldwide. His exceptional career success is built on packaging and selling products and services to businesses ranging from SMBs to major multinationals.